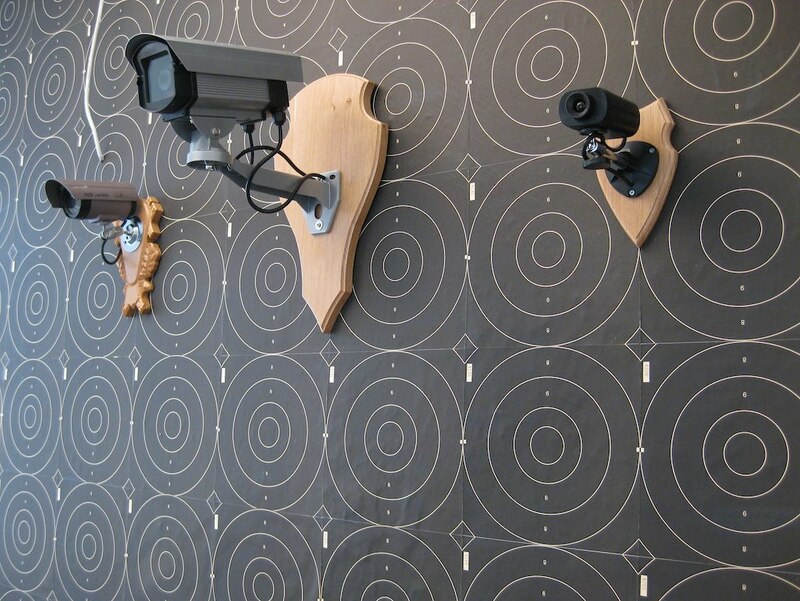 surveillance camera dummys mounted on wood, wallpaper of targets. Dimensions variable. 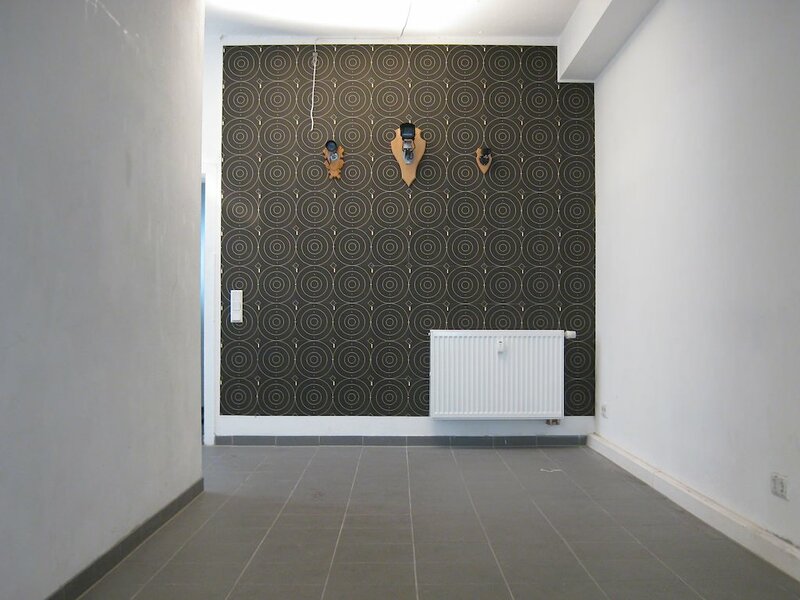 The surveillance Cameras are dummys, they are (un-)stuffed animals, undead – not by manipulating the cameras, but by manipulating their surroundings, removing them from their natural habitat and mounting them in the living room. There´s always a body belonging to the camera eyes: a surveillance system consisting of wiring, recorders, people or computer software – a surveillant organism. 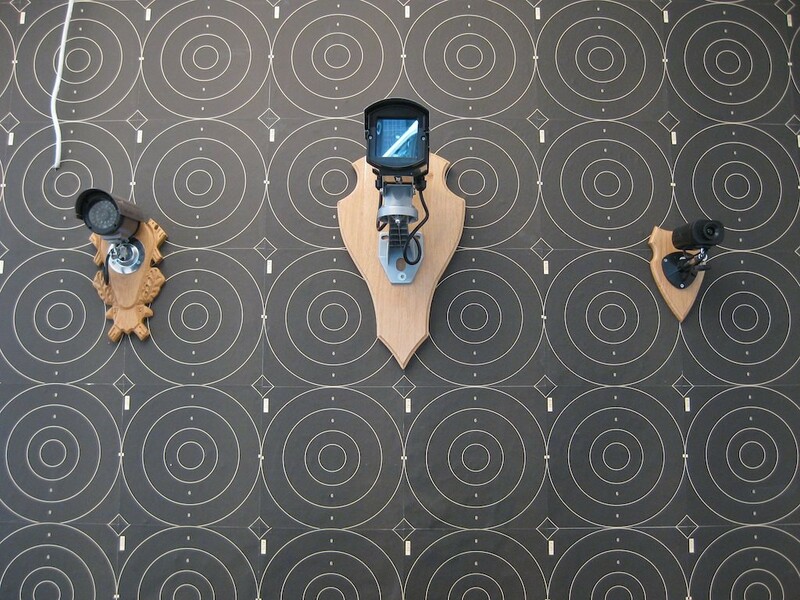 The common placement of trophies mirrors the placement of surveillance cameras – over our heads, barely touchable. Thanks to Julia Scher and Hans Diernberger, Therese Schuleit, Christian Wenzel, Hannes Wöhrle.